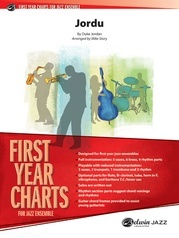 (I Can't Get No) Satisfaction from the First Year Charts for Jazz Ensemble series is designed for first year jazz ensembles. Full instrumentation includes 5 saxophones, 6 brass, and 4 rhythm parts. Reduced instrumentation is playable with 3 saxophones, 2 trumpets, 1 trombone, and 3 rhythm parts. 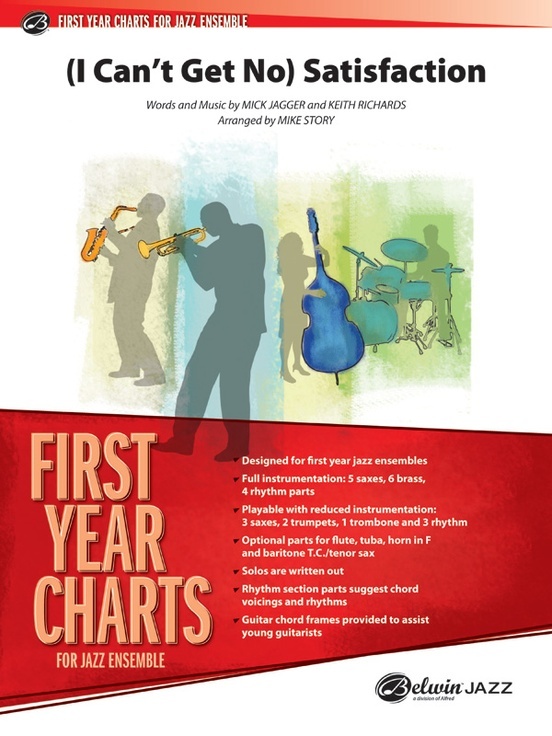 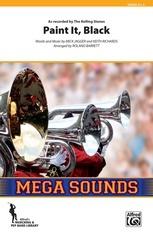 Optional parts include flute, tuba, horn in F, and baritone T.C/tenor sax. All solos are written out, the rhythm section parts suggest chord voicings and rhythms and guitar chord frames are provided to assist young guitarists.